BAKERSFIELD, Calif. (KBAK/KBFX) — In preparation for the 15th anniversary of 9/11, the Bakersfield Fire Department said a 22-foot long structural steel girder from the World Trade Center has been reserved for use in its local memorial. Next Sept. 11, the girder and memorial will be on display between Fire Station No. 15 and the Bakersfield Police Department substation at 1315 Buena Vista Road. 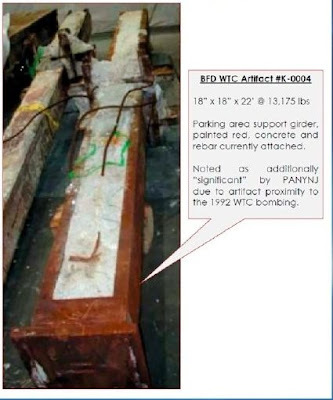 The fire department said that while there were many applications for artifacts from the WTC for use in memorials, the Bakersfield request was supported from within the New York Fire Department and was approved based on the memorial's proximity to fire and police service facilities. Nonprofits such as Bakersfield Professional Firefighters 264, Bakersfield Firefighters' Relief Association and Bakersfield Firefighters Historical Society will fund the project at no cost to taxpayers. Donations are welcomed, and can be made here.